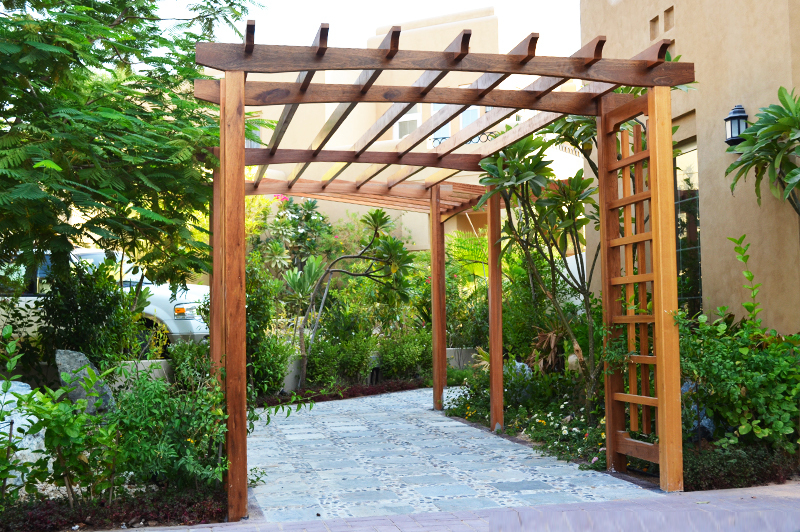 Installing a pergola is one of the best ways to enhance your landscape design and maximize your functional outdoor space. 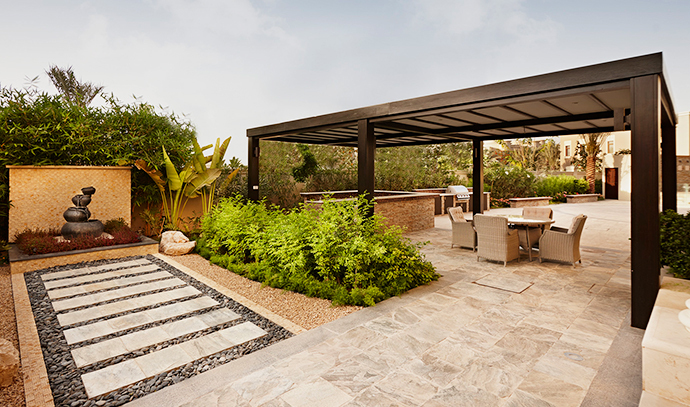 Your pergola provides a versatile option to elevate your landscape design, creating a separate space to enjoy with family and friends. You can use your pergola as an outdoor dining area, living area, or as a space to seek shade on hot days. 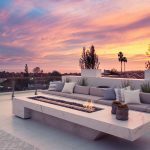 The possibilities for this outdoor space is limitless. Aside from looking fantastic, providing shade, and creating a distinct space pergolas add value to your home. 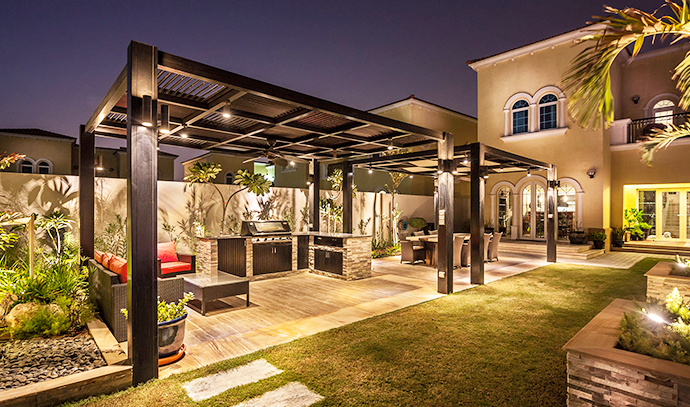 Adding a pergola to your villa can increase its value as it is one of the biggest landscape structures that requires developer and Dubai Municipality approvals. As an affordable design option, the benefits are enormous. • Pergolas provide a cool, shady area where you can enjoy a warm day outside without the worry of becoming overexposed to the sun. 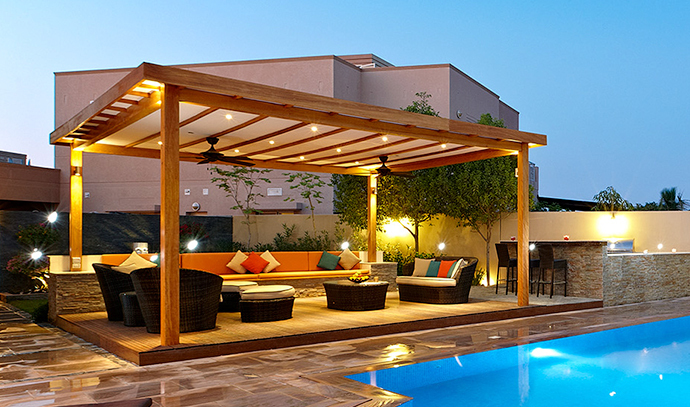 • A pergola adds definition to your backyard, creating a space within your backyard with a distinct purpose. • Pergola’s add an attractive addition to any backyard. You can make them even more appealing by adding decorative accessories like hanging pots, lights, curtains, accent pillow and much more. 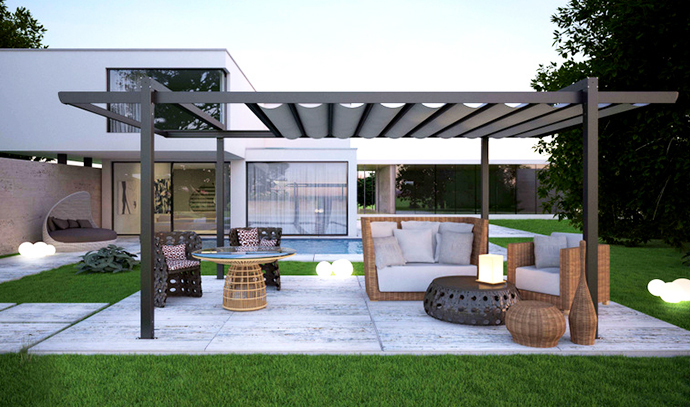 • Pergolas allow you to create an outdoor living space that you love by adding elements that suit your personal tastes and style. • Pergolas create add an element of privacy to your backyard. Wooden Pergolas: Wood is ideal for building pergolas as it blends beautifully with the natural setting of your backyard. While wood does require regular maintenance to protect it from the elements and to keep it from rotting, the end result it stunning and durable. At Milestone, our carpenters and artisans cut and treat all wood onsite at our joinery and mill. This ensures a one of a kind look that is sure to take your backyard to the next level of functional beauty. Aluminum Pergolas: An aluminum pergola is often less expensive than wood. Lightweight and easy to maintain, aluminum pergolas are designed to withstand all of the elements in nature. Aluminum pergolas are waterproof, never rust, and are insect repellant. Additionally, aluminum pergolas can be painted to look like wood. So if you are looking to add a pergola on a tight budget, aluminum may be the choice for you! Though there are certain restrictions and limitations in design than Solid wood, it is a great option too. 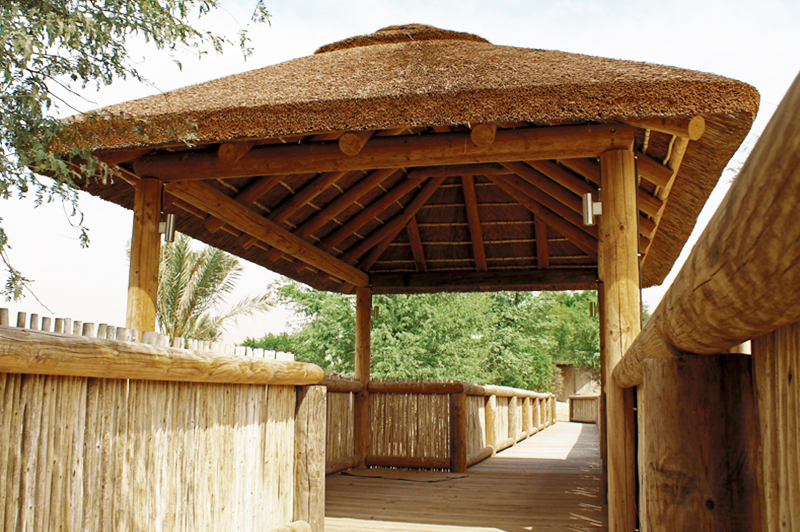 Thatched Roof Pergolas: Thatched roof pergolas can bring in a very rustic, country feel to any landscape. Weather it is a Mediterranean, South African, Asian or industrial modern theme, it is a beautiful water proof structure. 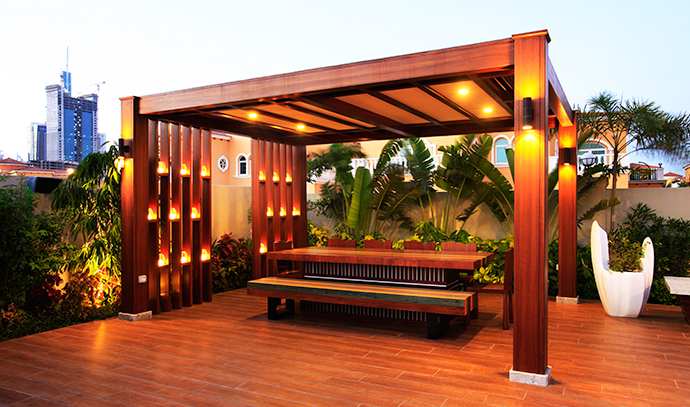 Once you have decided on the material and design style of your pergola (i.e. a standalone or built on the side of another structure), you can begin to blend it into your landscape. 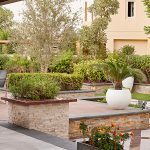 You can personalize this hardscape with decorative accessories like hanging plants, curtains, lights, water features, accent pillows and much more. Pergolas provide an affordable and low maintenance option to create an outdoor living space that you will transform your backyard. 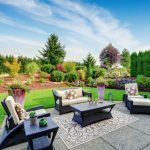 Consider adding elements that suit your personal style and function to create an outdoor space where you will entertain friends and family for years to come. Regardless of how you use it, you will surely love your new pergola! At Milestone, we design and build stunning pergolas that are guaranteed to transform your backyards and we’d love to do the same for you! Take a look at some of our recent pergola designs.